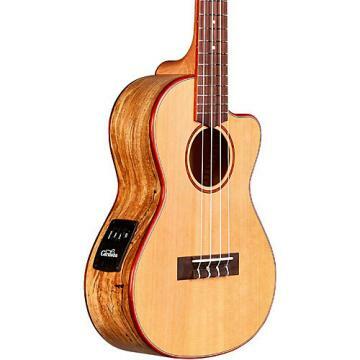 The C7 CD/IN is a handmade traditional nylon-string acoustic, featuring a solid Canadian cedar top. A step up from the C5, the C7 CD/INis built with Indian rosewood back and sides. It also has a traditional style hand-inlaid wooden rosette and a rosewood binding, bridge and fingerboard. A Cordoba gig bag is included. Looking for that PERFECT classical? I was too! I spent nearly 3 months playing every classical I could find (about 40 of them) at several locations in prices ranging from $250 - $4,000. At the time, I had the budget to buy ANY of them. And then, I picked up the Cordoba C7 Cedar Top and was literally speechless. Upon initial inspection, I was struck by the exceptional build quality of the entire instrument from top to bottom-inside and out. Super-clean fit and finish. And then I began to play.The tone, projection and balance were flawless. The lows were big, warm and full without being too boomy or overbearing. The mids were very clearly defined without being harsh or brassy. The highs were soft and gentle yet crystal clear without being thin or glassy. The entire frequency spectrum sings in perfect harmony with itself. Each and every note was perfectly audible with none of them washing over the other.Lastly, the other item that really stood out was this: This guitar made absolutely NO OTHER SOUND than what I was playing on every string from the first to the last fret. Not so much as a tiny squeak, buzz or vibration. Nothing but perfect classical tone.My search is over and yours is too! You will NOT be disappointed; get a Cordoba C7 today! .I love everything about this guitar. I have tried other guitars along with this one to compare and listen carefully. This guitar was hands down the choice as I thought coming in to trying out. Let me just start off by saying that I have played electric and acoustic guitar for twenty eight years and this is my first purchase of a classical guitar. HOME RUN!!! I checked out several forums and music retail sites for recommended starter to intermediate classical guitars for someone that is experienced at guitar as I am. I was looking for quality workmanship with warm tone and comfortable action on the fretboard that is not so high as to fatigue my hands but not too low as to create rattling. This Cordoba C7 with spruce top was the premier choice. It has great warmth and very decent resonance. Its sustain is just right. The finish is impeccable and if you can just get your hands on one and try it out yourself, you will be a believer. This much quality and craftsmanship for such a reasonable price? Excellent. Look no further than this classical guitar for you journey into great music-making. This guitar is solidly made with wonderful craftsmanship and attention to detail. This much guitar for this low of a price? No brainer here. .I am 100% in love with this guitar. I was ready to buy the Manuel Rodriguez C3. I played it and overall it just sounded a bit bland. It was even less than I had expected. Then I picked up the Cordoba and gave it a shot. It felt more comfortable and the tone was so much better. This guitar has a beautiful, vibrant sound. 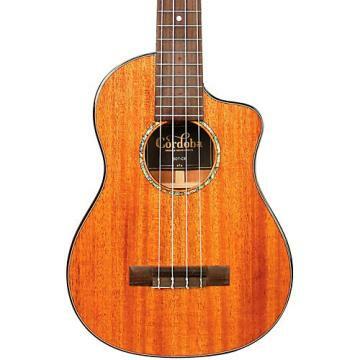 It plays very well, stays in tune well, and the intonation is very good. I have trouble putting this guitar down. This is the best money I've ever spent on a guitar. I couldn't be happier. 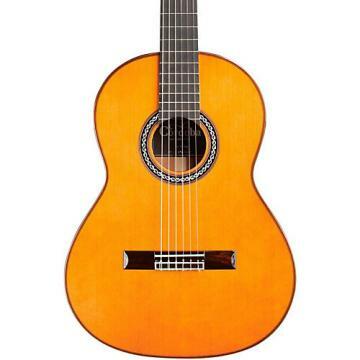 If you're looking for a low-priced, quality classical guitar, this one will not disappoint. .I tried about 12 different classical guitars and setteled on the Cordoba C7 and the Rodriguez C3. Side by side it was the Cordoba C7. Great sound. Clear and ringing tone. It just "felt right". The Rodriguez was well made but seemed to be too heavily lacquered. .Really a fantastic guitar overall, but if you're like me and you want to take this thing places, take precautionary measures. You won't regret doing so. What can you do? I would like some more frets or higher fret access (not a cutaway, because that changes sound, but just a longer neck, maybe), but that's kind of how it is on classical guitars. A strap button would also be nice, but again, not par for the course on classical guitars. So I can't blame the company. High quality in general. 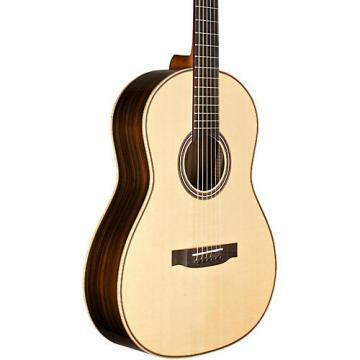 However, like most classical guitars, it's more sensitive to weather and environmental changes than other types. I learned this the hard way when mine cracked on the soundboard. Fortunately I had it insured. So if you get this, either insure it or get a high-tech hard case (like a humicase). 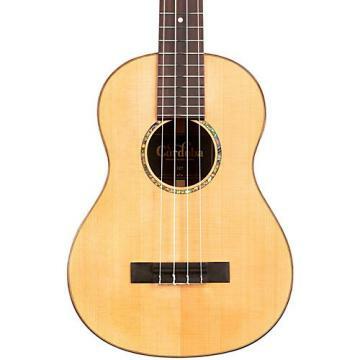 The tone of this was comparable to any other nylon-string in the store. Cedar, maple, and rosewood, all good woods. It really is worth it. .This guitar is simply amazing. It really is. It sounds amazing. I have played the electric version of it, and it tends to be a bit tinnier sounding, but this acoustic version sounds so sweet, it really has the classic nylon string sound. I gave it a four star for features, because it is not a cutaway guitar, so the top frets can be a bit challenging to reach, but that is easily overlooked.The build quality is very good. The particular one I bought had been sitting in the shop for about 6 months, and the only thing I have seen wrong with it is a tiny chip in the finish at the top of the headstock, no doubt where someone bumped it while putting it back on the wall. I did notice a small section of finish drip at the base of the headstock, where the finish was dripping off as it dried at the factory, but again, nothing that will take anything away from the quality of the guitar.The overall value is unmatched. The guitar plays and sounds amazing, and there really is nothing else in the price range that can even come close to matching it. .Certainly one of the better choices for a guitar in this price range. .I purchased this product as an "open box" item, it was labeled #2 Blemished, but I can't for the life of me find any blemishes, it looks mint to my eyes. Plays very well with a great tone. I would categorize this as a great intermediate guitar. The next level up is the Luthier series C9 which I gather is the starting point for more advanced players. I chose this guitar because I am biased toward Rosewood over Mahogany as a personal preference. This guitar plays great and has a warm, vibrant sound. I have been playing mostly Bach pieces, and some Spanish pieces by Albeniz, and Tarrega; both styles sound great. The soft shell bag seems durable and is slightly thicker thicker than a typical gig bag. If you are looking for a great sounding guitar without jumping up too far above that middle price range then this would work for you. Additionally, this was my first time risking an "open box" #2 and the payoff was fantastic, I received a considerable discount for what is a great sounding, beautiful guitar. Each open box is different so it really is a matter of luck. I got lucky with what appears to be a mint guitar, but I was also prepared for some minor cosmetic scratches on the back or sides.